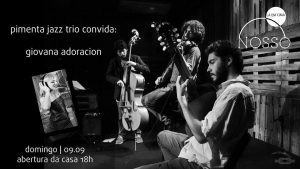 Pimenta Jazz Trio @ NOSSO (Ipanema) – This trio, formed by Guilherme Pimenta (violin), Pablo Arruda (double bass) and Daniel Ganc (guitar) will be playing creative versions of great songs from traditional jazz, Brazilian music, along with original material. 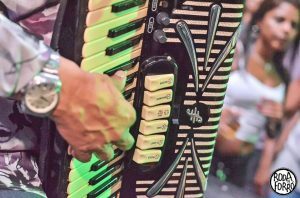 Pimenta Jazz Trio is a prize winning trio that was named ‘best group’ at the II Zimba Music Festival, and has performed on stages like the Centro Cultural Imperator and Jazz Ahead Festival. Giovana Adoracion is a Brazilian singer and songwriter who takes her influences from jazz, soul, blues and bossa nova. She is currently performing in the Rio de Janeiro scene with a repertoire of hits immortalized by the great names of both the jazz scene and of Brazilian music. 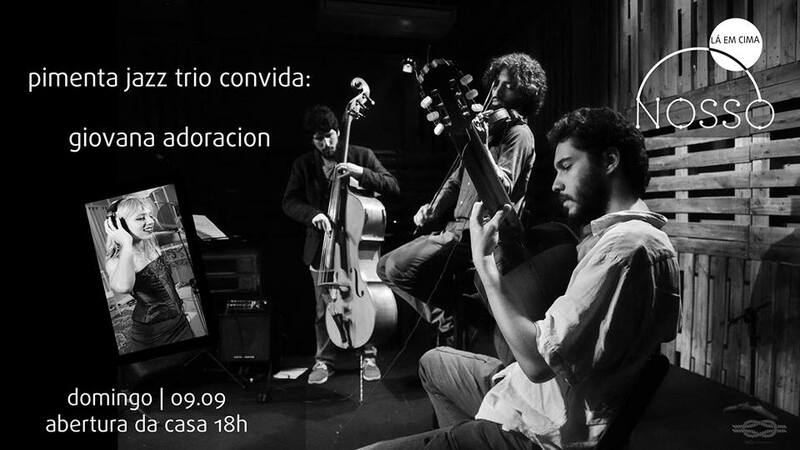 This Sunday, the Pimenta Jazz Trio will be inviting Giovana to collaborate for a very special evening of music. The house opens at 6PM and the show starts at 7:30PM. This is a free event. 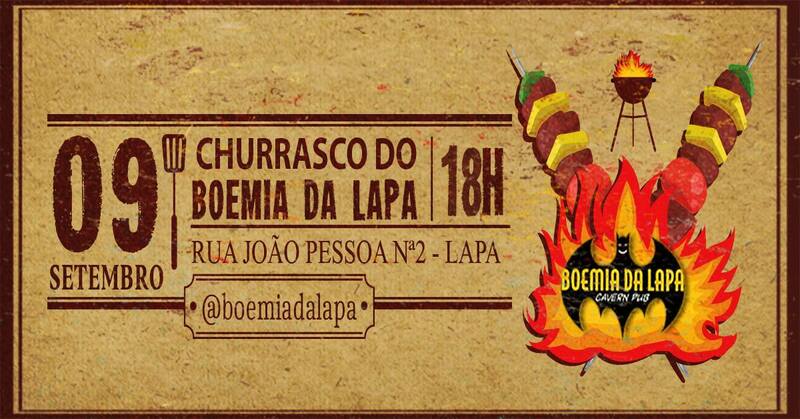 Churrasco @ Boemia da Lapa (Lapa) – Come to Lapa for a barbecue like no other. 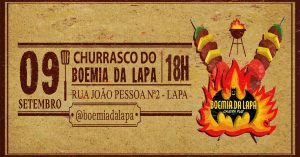 Boemia da Lapa are promising one kilogram of meat per person, beer to be provided by Boemia, lots of music (everything you want to hear! ), and for anyone who doesn’t eat meat there will be cheese, vegetables or any other substitute that can put on the barbecue. This event is free and begins at 6PM. This Sunday, Roda de Forró is throwing a special party for the two-year anniversary of their program ‘Som no Nosso Quarto’ (Music in Our Bedroom) which is broadcast on Facebook and YouTube, and features a super cast of incredible musicians. The musicians in charge this Sunday will be Thiago Santos, singer and creator of the program; Nandinho Barros of the quartet Conterrâneos will be playing accordion and singing; and Fernando Nazareth of the Trio Rapacuia will be playing zabumba and singing; and Beto Argôlo of the band Mala and Cuia will be on the triangle and singing. During the night there will be several super special appearances. This should be unmissable. 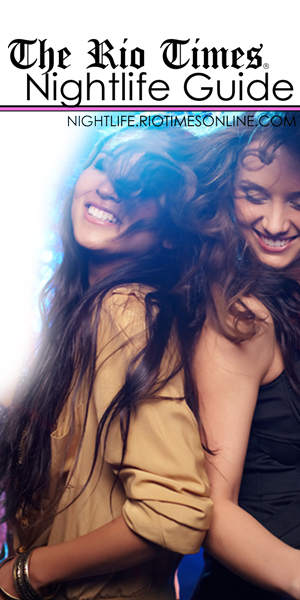 Following the live music will be a DJ set by DJ Taroba and then DJ Xeleléu. Tickets are between R$10-R$25 and the music starts at 7PM.